As your full service Google Analytics consultant, Cord Strategies provides comprehensive analytics management once implementation is completed. Whether you require full or partial management of your Google Analytics account, Cord Strategies is here to supply you with professional and insightful service. With all of the raw data provided by Google Analytics, it’s easy to lose sight of your company goals. At Cord Strategies, we provide you with the most relevant and critical data by expertly filtering the results to cater to specific departments or share holders so that you never lose focus. In addition, we dive into the numbers to provide you precise data analysis, spotting trends or anomalies that highlight underutilized opportunities or areas that need correction. My experienced and understanding of the most profitable geographical areas to capitalize on, pinpoint weak spots in campaign strategies, and propose content or layout improvements to pages that are losing visitors—all with the goal of maximizing our clients’ ROI. Cord Strategies unparalleled ability to both implement and manage Google Analytics accounts, uniquely positions us with the ability to truly harness the full power of Google Analytics. 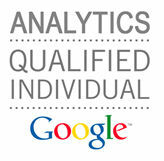 Cord Strategies Google Analytics consulting services will provide you with the customized accounting necessary to succeed. These custom reports can be used on any type of profile and across multiple domains. The biggest prerequisite is having goals setup within your profiles. To use these custom reports; you will need to be logged into your Google Analytics account to view and save them to your own account and profiles. Track the effect of (not provided): Google’s decision to encrypt search referral data means that many sites now have a lot less to work with when tracking SEO keywords, and Cord Strategies is no different. Keyword Analysis: This report looks at your most popular keywords (minus the ones that Google isn’t telling you about) and shows visitor metrics, conversion rates, goal completions and page load time. Non-Branded Keywords: This report strips out the branded keywords and shows visits, goal completions and revenue. Browser Report: This report shows how different browsers are working for your site in terms of visits, revenue, bounce rates and purchases. Should You Go Mobile: You can judge from metrics such as pages per visit and goal completion rate and decide whether a mobile site is ready. The answer is very probably yes for most sites. Referring Sites Report: This report will show all referring sites alongside goal completions and conversion rates. Link Analysis Report: This one, from SEObook, helps you to see which of your inbound links are sending the most valuable traffic, showing visits, goal completions and more.